Taking a social approach to music heritage preservation, I subscribe to the idea that audiences benefit exponentially through shared experiences. 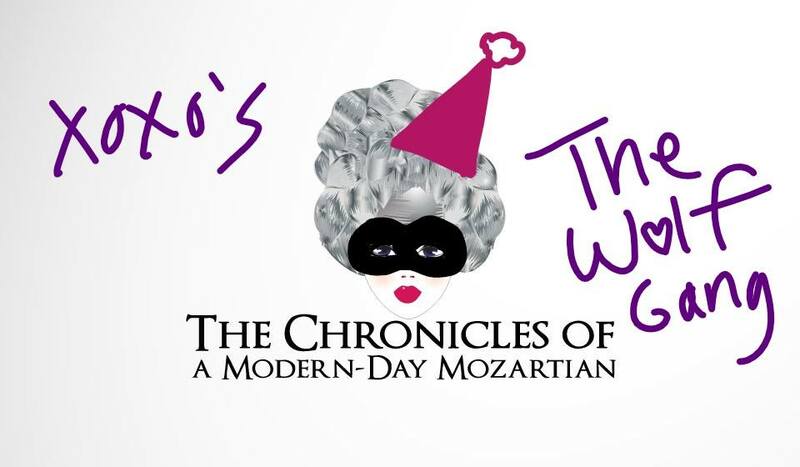 In 2012, I began creating event pages on Facebook so that Mozart's worldwide fan community (aka "The WolfGANG") would have a place to gather for two of his most significant anniversaries. With the dates of December 5th and January 27th quickly approaching, it's that time of year again! To commemorate the anniversary of Mozart's passing on December 5th, I've hosted an annual candlelight vigil, asking participants to light a candle at 12:20 am (local time) and extinguish it at 12:55 am (local time). This 35 minute duration represents Mozart's 35 years of life and 12:55 am represents the time his light left our world in 1791. I've also encouraged fans to listen to his Requiem, write letters and share photos and sentiments on the event page. For my first vigil in 2012, I was joined by approximately 70 individuals. This experience inspired me to write, Videography of Mozart's Last Days: The Requiem Playlist. The following year, I penned the article, Dear Mozart: Remembrance in Light and Letters, featuring 24 photos from fans in 15 countries. The event has continued to evolve and gain reach in the Mozart fan community. To celebrate his birthday on January 27th, I've invited Mozartians to indulge in party activities inspired by the man himself such as jokes and pranks, billiards and dancing! I've encouraged them to share favorite quotes, recordings and other media along with their party photos and birthday wishes on the event page. In 2015, I realized a new celebratory idea through a collection of sentiments from fans around the world to present Mozart's first global birthday greeting at the Mozarthaus Vienna, his former residence. Submissions utilized various mediums and were created by a range of individuals, from professional artists and novelists to impassioned children! The joy and humanity of Mozart's music and the universal messages of love, unity and enlightenment conveyed within its measures remain relevant and necessary today. Its authenticity is beautifully captured by Mozart's fans in the many photos, comments and artworks they've shared on my event pages. Take a look! I hope that you'll join me on December 5th and January 27th so that our efforts will continue to inspire hearts everywhere as we celebrate Salzburg's native son.